Would it be Christmas without food? No, we don’t hink so either. We’ve got a whole host of brand new traders joining us for the festive season. Expect big burgers and more from Free State Kitchen, Mexican street food from Lucha Libre, steaks from Black Bib and winter stews and soups from SKAUS. These will join our current traders where you can expect wood fired pizzas, bubble waffles, halloumi fries, Cuban street food and so much more. For a full list, check here. 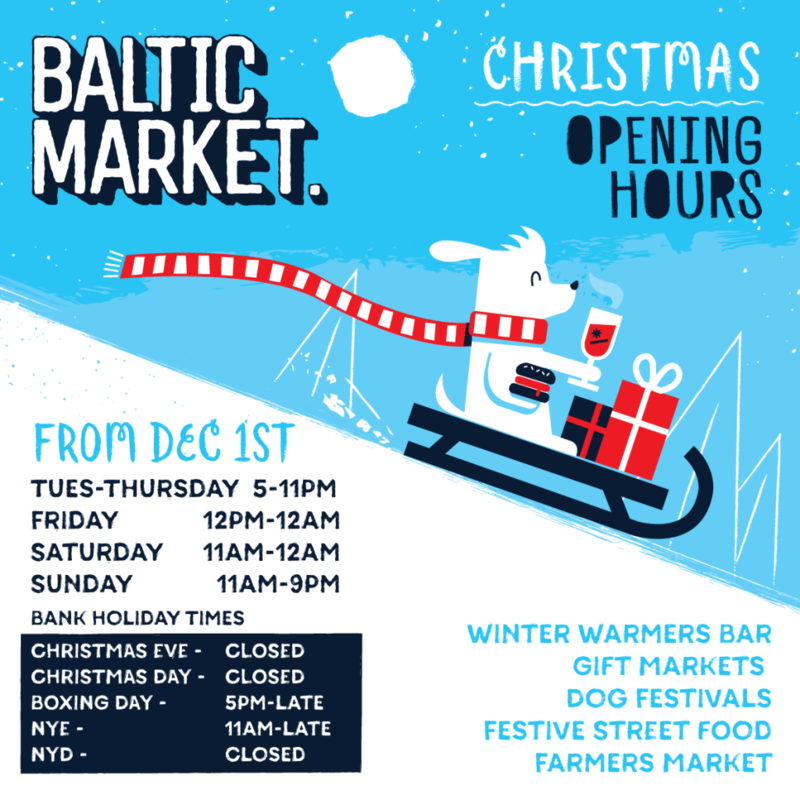 For one night only, The Baltic Market will transform into a disco haven showered in glitter. Dust off your flares, put on your dancing shoes and come and say goodbye to 2017 in style. Special glitter cocktails, a glitter artist on site, bubbles, disco DJs and the biggest party in Liverpool. Tickets can be found here.